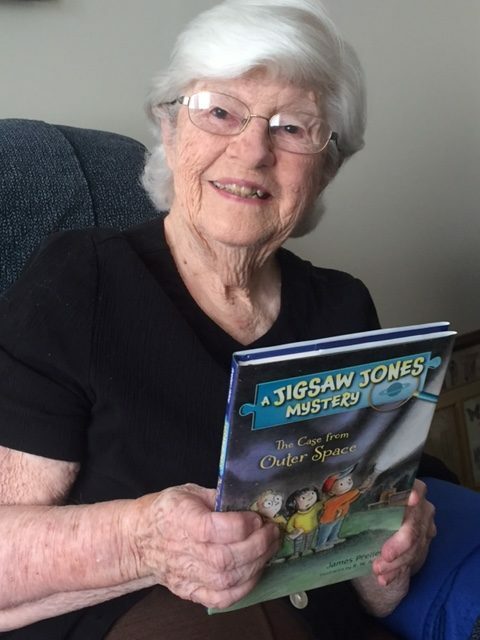 And she loved my new book, The Case from Outer Space, coming August 8th. Maybe I’ve been writing for the wrong demographic all along. Why write for young people at all? Picture books for preschoolers? Novels for tweens? YA? Forget all that. I’m going after the untapped nonagenarian market!